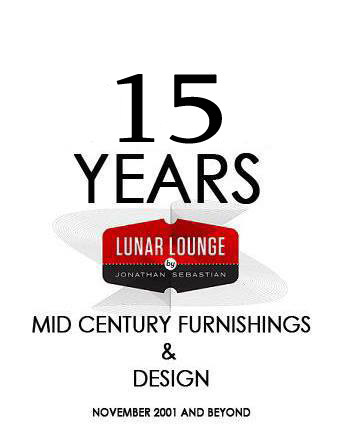 FIFTEEN years ago today, Lunar Lounge was founded from the basement of my parents’ home. The first tables were designed and build with the help of my father in his work shop. My father being a hobbyist wood worker from an early age taught me a lot of the basics of wood working as I was growing up. My father had built many things for the family home. Kitchen cabinets, coffee tables, a dining table and even built himself a boat before I was born. Lunar Lounge started from an idea. “To build some coffee tables and sell them on the internet” as crazy as that idea still sounds today, I am living proof that with enough drive, determination and desire, anything is possible. Today it has grown to be so much more than that. What started out as an idea has now taken me down a new path that I had never imagined for myself. What started out as coffee tables has grown to an entire line of occasional tables, multiple seating styles and an ever expanding line of case good and storage solutions. It’s crazy to think that thousands of people, all over the world own and enjoy a piece of furniture I have made with my own hands. People who I have never met and quite possibly never will, believed enough in me and my word to purchase a piece , sight unseen from half way across the country or globe to have it end up in their home. To say I am flattered is an understatement. I have been loved, doubted and ridiculed but also admired and appreciated. I have inspired others and been inspired. I cannot thank all of the people who have influenced me, challenged me and have taught me and those who offered me their help when I needed it. This adventure is far from over, but in the past 15 years, it’s easy to forget where you are if you don’t look back every once in a while to see how far you have come. I can tell you it wasn’t easy. But it certainly has been worth it. This has been no simple journey. It’s been an uphill climb being a one man show. Doing everything from design, to fabrication, from sales and shipping the product and everything in-between. Its a lot of hats to wear in one day, but as time went on, it became easier to juggle the multiple duties of running a small business. I have taught myself a number of new skills but the skill that I have developed the most, is being able to solve problems. It’s how businesses run and grow. I have met many and worked with many great people over the years and it’s in building those relationships that has helped me succeed. What’s to come in the next year? Well I am working with a production company on a documentary to celebrate Canada’s 150th Birthday. I will also be working with a local restaurant chain on designing and developing new ways to offer their products to their customers. You’re going to have to stay tuned!! So I wish to thank all of those who have believed and supported me, without you, this idea would have never come to fruition. Here is to many more!